When we communicate with others, it is important that we are using the same verbiage with the same definitions. Clarity is critical. Look through the list to ensure you are current with commonly used safety terms. Close Call/Near Miss: An incident that could have, but did not, result in death, injury, or illness. They signal that hazards are not being adequately controlled or that new hazards have arisen. Contractor: An individual or firm that agrees to furnish materials or perform services at a specified price. Elimination: A change in process or workplace condition that removes the hazard or ensures that no worker can be exposed to a hazard under any foreseeable circumstances. This is known as the “hierarchy of controls” because they should be considered in the order presented. Controls at the top of the hierarchy are potentially more effective and more protective than those lower in the hierarchy. Host Employer: An employer who has general supervisory authority over the worksite, including controlling the means and manner of work performed and having the power to correct safety and health hazards or require others to correct them. Industrial Hygiene: The science of protecting and enhancing the health and safety of people at work and in their communities. Job Hazard Analysis: A technique that focuses on job tasks as a way to identify hazards before they occur. It focuses on the relationships among the worker, the task, the tools, and the work environment. Joint-Employed Worker: A worker hired and paid by a staffing agency and assigned to work for a host employer, whether or not the job is actually temporary. Lagging Indicators: Measures of the occurrence and frequency of events in the past such as the number or rate of injuries, illnesses, and fatalities. Leading Indicators: Measures intended to predict the occurrence of events in the future. Leading indicators are proactive, preventative, and predictive measures that provide information about the effective performance of safety and health program activities that can drive the control of workplace hazards. Multiemployer Worksite: Any worksite where two or more employers are present. Nonroutine Operations: Operations that do not occur frequently or that occur as a result of an emergency. Peer-To-Peer Training: A type of on-the-job training where workers exchange information about hazards, controls, reporting procedures, and work procedures that are relevant to the safety and health program. Prevention through Design: A NIOSH national initiative to prevent or reduce occupational injuries, illnesses, and fatalities through the inclusion of prevention considerations in all designs that impact workers. PtD encompasses all of the efforts to anticipate and design out hazards to workers in facilities, work methods and operations, processes, equipment, tools, products, new technologies, and the organization of work. Quantitative Exposure Assessment: Techniques used to quantitatively measure workers’ exposure to hazards, particularly health hazards, such as sampling for chemicals, dusts, biological organisms, noise, radiation, or other assessments. The purpose of such assessments is to quantify the level of workers’ exposure to a hazard. Also known as exposure monitoring. Root Cause Analysis: A collective term that describes a wide range of approaches, tools, and techniques used to uncover causes of problems. Safety and Health Achievement Recognition Program: An OSHA program that recognizes small business employers who have used OSHA's On-site Consultation Program services and operate an exemplary injury and illness prevention program. Safety Data Sheet: Written or printed material used to communicate the hazards of substances and chemical products to employees prepared in accordance with paragraph (g) of OSHA’s Hazard Communication standard. Serious Hazards: Hazards that are causing or are likely to cause death or serious physical harm. Shortcoming: A fault, deficiency, or gap that results in a failure to meet program design criteria. Staffing Agency: A firm that provides temporary workers to host employers. A staffing agency hires its own employees and assigns them to support or supplement a client’s workforce in situations involving employee absences, temporary skill shortages, seasonal workloads, and special projects. Substitution: The replacement of toxic or hazardous materials (or the equipment or processes used with them) with ones that are less harmful. 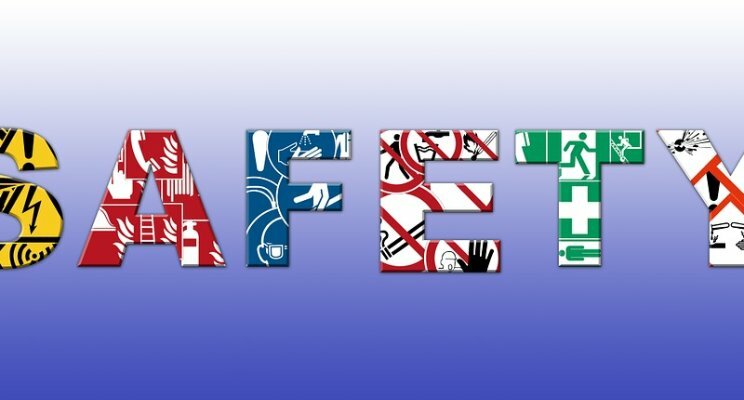 Voluntary Protection Programs: An OSHA initiative that recognizes employers and workers in the private industry and federal agencies who have implemented effective safety and health management systems and maintain injury and illness rates below the U.S. Bureau of Labor Statistics averages for their respective industries. Work Practices: A set of procedures for performing a specific work assignment safely. I imagine most of you knew most, if not all, of the terms. It is beneficial for an occasional refresher of safety foundation knowledge. For others new to the safety profession or in allied fields, this information is important to learn. Share this with those you mentor; they will be glad you did. Reach up AND down the career ladder. Help those who need a "hand" and can use some traction to improve their performance.